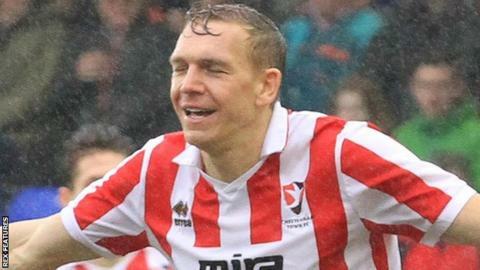 Cheltenham boss Gary Johnson says his side must enjoy their promotion push after they set a club-record unbeaten run with Saturday's win at Tranmere. The Robins have not lost in 21 National League games, breaking their previous record set in the 1994/5 season. Cheltenham sit top of the table, four points ahead of Forest Green Rovers. "I don't want to be at the end of the season if we do get promoted and think we didn't enjoy the last twelve games because of the pressure," Johnson said. "From my experience I want to make sure they enjoy what they're doing at the moment because you may never get this situation again in your football career, some people don't. "But while they're getting it and they're having fun, I want them to look like they're having fun."